Oreo is the latest version of Android Operating System. A couple of days back it is available for supporting google Pixel and Nexus devices. Some of the most discussed features of Oreo update includes Picture-in-Picture mode, smart text selection, auto-fill, and custom notifications. If you don’t own a google device you need to wait till the official launch of Android 8.0 which can be between 3 to 12 months. The smartphones we own today are more powerful than before and boast hundreds of application to keep us entertained and informed but one thing we always desire is long lasting battery life to avoid getting disconnected from rest of the world. Collection refers to a task when software development is concerned. HashMap is first data structure to emerge in mind when we look to store data in key-value pairs. On behalf of its flexibility, it is the most popular data structure choice. In order to boost the performance of Android App, there are two important set of collection ArrayMap and SparseArray are built exclusively for mobile. Thereby, substantially more memory efficient in comparison to a HashMap collection. 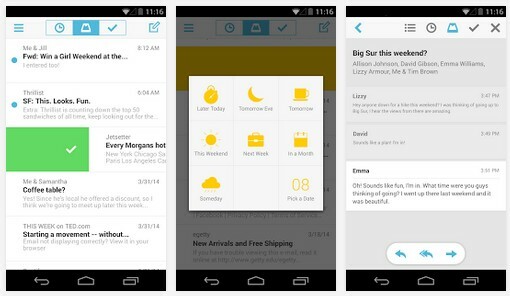 Dropbox Launches Mailbox For Android, launches Carousel with Auto-Swipe, Previews Mailbox For Desktop. “What makes me so happy is this family just got a lot bigger,” CEO Drew Houston said from a media event in San Francisco.